The finished product is something that’s brighter, bolder yet still stays true to the original branding. With the full color version of the new logo, there is a redesigned “razzberry” (which I call it now ha) that’s used as the apostrophe in the full logo. It’s also contained a a singular element as well that can be used in secondary branding and marketing. 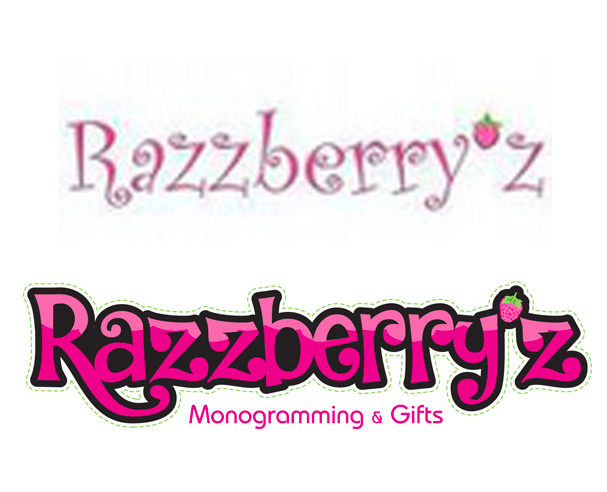 The Razzberry’z font has a light pink accent inside the letter to reflect the “razzberry” icon. and lastly the stitches around the logo full completes the logo and uses an accent “green” to reflect the leaves from a raspberry. This logo was complemented with a visual style guide of logos, graphics, colors, and conceptual design templates on how to effectively brand the logo. This is a great project with much potential for future branding.